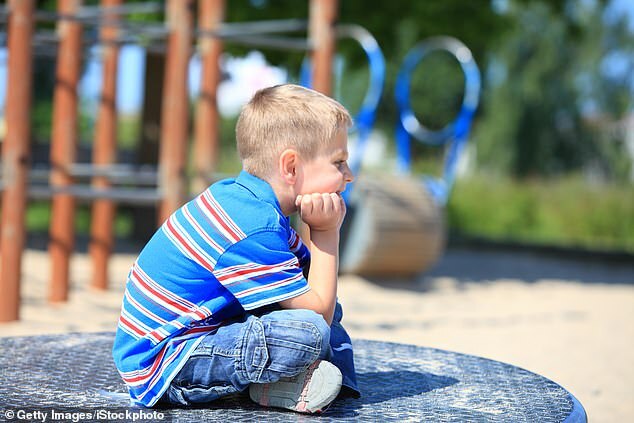 Boys whose teachers find them antisocial in kindergarten may have lower incomes as adults than their classmates who don’t have behavior problems, a new study suggests. Those who paid less attention in class or didn’t interact well with classmates earned at least $1,300 less than their peers in adulthood. Misbehaving in school has long been linked to lower levels of academic achievement and income, the researchers from the University of Montreal noted in JAMA Pediatrics. But the new study offers a unique snapshot of this connection by examining behavior assessments done by kindergarten teachers and then looking at students’ earning on tax returns three decades later. ‘Kindergarten teacher assessments are good predictors of problems which accumulate over time – behavior problems with peers and adults, school failure, delinquent behavior, substance abuse, etc – and lead to poor job market integration,’ said senior study author Dr Sylvana Cote, a public health researcher at the University of Montreal. For the study, researchers looked at 920 boys who were age six beginning in 1984 through 2015. All of the boys were from low-income neighborhoods in Montreal, so researchers controlled for factors that might impact future earnings such as parents’ income and education levels, family structure and neighborhood poverty levels.